Stock status is current as of 4/23/2019 2:53 AMET. Extend the length of your wired network using the StarTech RJ45COUPLER Cat5E RJ45 Modular Inline Coupler. 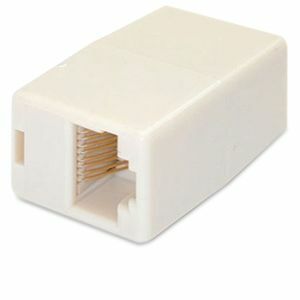 This Coupler is a simple solution that connects two distant network devices using their RJ-45 cables. Small and lightweight, this compact device won't be an obstruction in the area. Unify your wired network; use the StarTech RJ45COUPLER Cat5E RJ45 Modular Inline Coupler.